Three approaches to the Talmud, graphically portrayed in a Victorian photographer's studio. 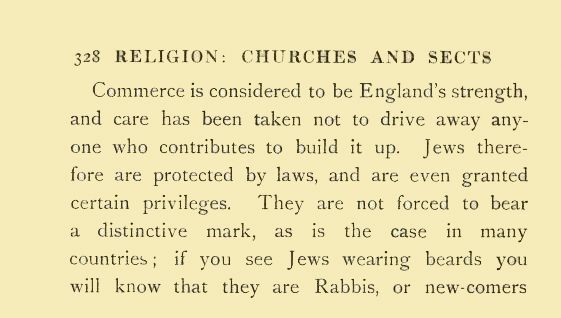 This is from an 1894 book called Memories of gospel triumphs among the Jews during the Victorian era by John Dunlop, all about how successful British missionary efforts were during the 19th century. This particular exceedingly strange posed picture is meant to illustrate three approaches of three writers on the Talmud; hot, cold and just right. 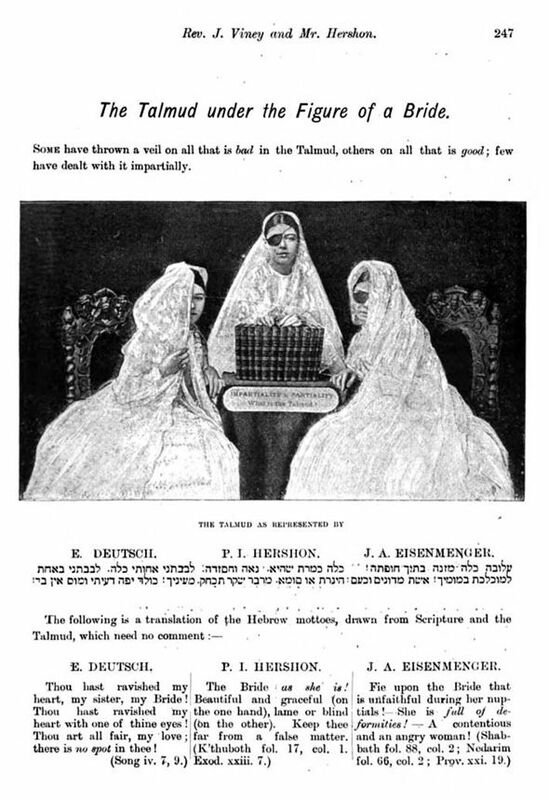 The brides represent the flawed beauty that is the Talmud and as described by a different writer. As you can see by the caption, the point is that one writer veiled all that is bad in the Talmud (on the left, so that you cannot see she has one eye patch), one writer veiled all that is good (on the right, so that you cannot see that she has one good eye), and the other wrote of it impartially (in the middle, with one patch and one good eye). The impartial one is Paul Isaac Hershon, a converted Galician Jew born in 1818, who wrote אוצרות התמלמוד (Treasures of the Talmud, being a series of classified subjects in alphabetical order from "A" to "L"). He died in 1888. The writer who veiled all that is bad is Emanuel Deutsch, who wrote a very famous article which was widely read all over Europe, called Der Talmud, and the writer who veiled all that is good is Johann Andreas Eisenmenger. 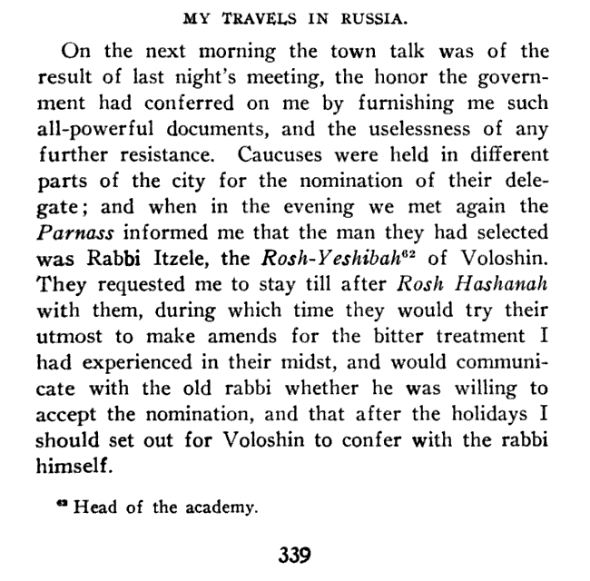 Impressions of the Volozhin Yeshiva and it's head, Rabbi Itzele, from Max Lilienthal's visit in 1840. I'm sure Max Lilienthal (1815-1882) needs no introduction, but for the purposes of this post, it's worth giving a brief explanation for what follows. Lilienthal was a young PhD who was appointed schoolmaster of a modern Jewish school in 1839. Given his talents and successes there, and a recommendation by Ludwig Philippson, editor of the Algemeine Zeitung des Judenthusm, the Russian government appointed him in 1840 to try to reform Jewish education and establish modern schools. Lilienthal was no dope and knew that this could only succeed if he could convince the rabbonim and rebbes to support it. For this purpose he undertook a trip to the traditional communities in Russia, to learn, listen and try to persuade. He was unsuccessful, etc. His own official account is that he realized that the Russian government did not have the best interest of the Jews in mind. The "Making of a Godol account" is that while he subsequently gave this as the reason, in fact he was suspected of some illegal economic activities and had to depart Russia. I don't see these as mutually exclusive. Either way, he settled in the United States where he became an Orthodox rabbi - he really was exactly that, even organizing a Chevra Shas in his schul - although he soon began leaning toward Reform, eventually becoming one of the pioneering American Reform rabbis. See also Hyman Grinstein's article "The minute book of Lilienthal's union of German synagogues in New York " (HUCA 18, 1944). In the mid 1850s he published an English translation of extracts from his diary of his travels in Russia in the newspaper the Israelite. These were reprinted in David Philipson's 1915 book Max Lilienthal, American Rabbi. Below are the passages concerning his meetings with R. Itzele Volozhiner, R. Chaim of Volozhin's son, rosh yeshiva of the famed Volozhin Yeshiva. The account is interesting for many reasons; it included his impressions of R. Itzele, and his son-in-law Reb Lebele (i.e., the 30-year old Neziv). His description of the first day of Selichos is amazing. He was awoken at 3 AM for the Selichos which were to commence at 4 AM. In the street he witnessed a mass of women dressed in white, carrying lanterns through the streets of Vilna, to the synagogues. He records that he was given maftir in the main (?) synagogue in Vilna - where he was seated in the absent rabbi's seat - but told not to read the haftarah himself. Lilienthal says that this was the practice so as not to embarrass anyone who couldn't read, but one wonders if it was because the haftarah was read on a klaf (handwritten, unvocalized parchment roll) as per the Gra (which is doubtful to me anyway). But if so, it really would be the same reason anyway ("not to confound the ignorant.") But of course it's strange to think that an unprepared Lilienthal could have read it from a klaf in the first place, and he implies that he would have read the haftarah if he had not been told not to. If they did read it on a klaf it seems a little odd that he didn't notice it or think to remark on it, so it probably wasn't read on a klaf at all. Another possibility, judging by a comment R. Itzele made about how he read Hebrew (see below), after reading the beracha and thus demonstrating how he recited Hebrew someone in charge decided that he shouldn't read the haftarah. However, the second day of Rosh Hashanah he was given an aliya in another minyan and asked to read the Torah, so it's probably like he said in the first place: only the ba'al keriah read the haftarah in the main synagogue so as not to "confound the ignorant." He visited the Gra's kloiz on the first day of Rosh Hashanah, and noted that the angels are not mention in the prayers related to the blowing of the shofar, as per the Vilna Gaon himself. Lilienthal seems to have taken this positively, seeing it as directed against superstition. Upon arriving in Volozhin, he also was met with many ("a hundred") people for whom his reputation had preceded him. They asked him if he was the "Datsche Rof" (German rabbi). Here it might be appropriate to mention something I read recently in the first volume of Bialik's folklore journal Reshumos, but haven't seen quoted anywhere else. This concerns a later period, probably the 1860s. It seems there was a person named Mendele who was known as the Baal Gematrios, because he could quickly come up with a Gematriya for anything. One time Mendele walked into an inn and came upon a group of bareheaded Jews dressed in modern clothing eating and drinking. So he said to them, "Sholom Aleichem, Berliners!" One of them answered, "Aleichem Sholom, Karliner!" He thought for a second, and said that to the guy that he is right. The difference between a ברלינער and a קרלינער is כובע (a hat; Gematria is 98). Getting back to Volozhin, other points of interest is that he quotes R. Itzele as telling him, after he has him recite the zimun, that he reads Hebrew "like a proselyte." For his part, Lilienthal thought he himself was reading it German-style. He also (famously at this point) quotes R. Itzele as explaining to him that in a typical morning in the yeshiva he gives a Chumash-Rashi shiur, in which he includes some of his own remarks and some things from the Mendelssohn Be'ur commentary. One wonders if this was true, or said to impress Lilienthal - but in a way it's a distinction without a difference. Kosher enough to tell him, is the point. As for whether it's a sheer fabrication on Lilienthal's part, that seems very unlikely, as all it did was serve to make R. Itzele seem a little bit enlightened, and what did Lilienthal gain, writing in his own diary - or in English in Ohio in 1856 - by fabricating this? He also notes that R. Itzele invited him Erev Yom Kippur to join him at the mikva, which he declined. Letters to mysterious African Jews who may or may not have existed. Right smack in the middle of the "Dr.-Livingstone,-I-presume?" era of British adventurism in Africa, a journal belonging to William Simposon was published, titled Private Journal Kept During the Niger Expedition of May 1841 to June 1842. 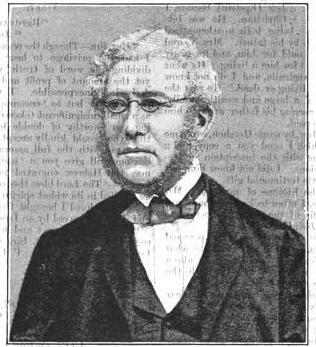 In the introduction it states that Simpson "obtained Bibles and different religious publications for distribution, and at the suggestion of some Christian friends, he was provided by the two chief Rabbis in London with letters commendatory to their brethren, in case it should be found that in the providence of God toward that remarkable people, any portion of them were located in the interior of Africa." The fun things you find on title pages: was the Vilna Gaon a Rebbe or a Rav? It's title in Blackletter (=the German alphabet of the time) reads Masse Rebi (and not the expected Raw or Rab). It's possible that there's some sort of Polish explanation for this (it was printed in Zolkiew, Galicia) but I put forth my conjecture that whomever it was that set the type (or wrote it or dictated it for setting) pronouncing the Hebrew רבי (rabbi) instead of רב (also rabbi), and doing it in the traditional Ashkenaz way as Rebbe. Recognizing of course that there are many subtle variations that I can't reproduce with mere letters, and that in 1808 surely no one said it American-style like Reh-bee. Russia and the Female Wig Party ; the humor in an alleged ban of sheitels from 1853. In 1852 the Russian Czar, as part of a continuing policy of Russification and harassment of his subject Jews, issued an order fining Jewish women who shaved their head 5 rubles. This came on the heels of the ban itself (1851) and a more general ban on Jewish dress (1850), which included a prohibition of growing peyos. Raphael Mahler claimed that the custom of tucking peyos behind the ear dates to this period, and he may well be right. Certainly earlier depictions of Russian Jews never show such peyos. So if he was right, that's how old this tradition is. But I digress. With the ban on shaving the head came, naturally, many police inspections, and not only the women were implicated, but also the rabbis and barbers (according to Dubnow). I think that the reason why Punch took it as a ban on wigs is because it reasoned that the women wore wigs because they shaved their head. If they didn't shave their head, they wouldn't wear wigs. Thus in effect wigs were banned, and a great pun was there for the picking. If only they knew (about the wigs, that is). Another "Shas Pollack" . . . sort of. Evidently this Rabbi Yehoshua Heschel ben Avraham of Shklov was a Shas Pollack (מפורסם בשמו בשם ש"ס פאלק). Judging by the description ("great rabbi" "expert in Shas, Posekim and the whole Torah") he was far from marginal or a חמור נושא ספרים (link). Actually, I have a suspicion that this isn't saying he was a Shas Pollack (pin-test guy) at all. Falk (פאלק) is a Yiddish nickname for Yehoshua, and given that he lived in Frankfurt but was from Poland and such an accomplished talmid chochom perhaps his nickname was ש"ס פאלק, a sort of pun. A Yom Kippur fish story and a questionable approbation; anecdotes concerning R. Solomon Hirschel, an early 19th century London rabbi. What happened was, R. Tzvi Hirsch's son, the Chief Rabbi of Great Britain from app. 1800 to 1842, known as Solomon Hirschell, noticed one Yom Kippur that a certain wealthy congregant who was a Kohen ascended to recite the priestly blessing, but didn't remove his shoes as required. So Rabbi Solomon did not allow him to duchan. As it happens, this man's custom was to give Rabbi Solomon a present of fish before every shabbat and holiday. Being as Sukkot was only a few days later, Rabbi Solomon assumed that there would be no fish from the congregant this time, because he must have been angry. So he told his wife to purchase fish. However, before Sukkot a package of fish arrived, just as it always did, and along with it was a beautiful little box. Inside the box was a doctor's note assuring that for a certain health issue it would have been dangerous to remove his shoes. Charles Duschinsky, in his fascinating JQR articles on the Chief Rabbinate of the Great Synagogue, knows the identity of the congregant and brings the story in a slightly different version. In Duschinsky's version, it was Asher Goldschmid, one of the most prominent (you know, rich) members. In this version he is called to an aliya, and then Rabbi Solomon notices he's wearing boots instead of slippers. The rest of the story is identical, and Duschinsky does refer to the passage quoted above, but to my mind this version is more likely to be what actually transpired, for a number of reasons. In addition to knowing about whom the story occurred, presumably a kohen who could not remove his shoes for a medical reason really should not ascend to duchan, so what good is a doctor's note? Whereas there probably is no reason why someone who had to wear boots on Yom Kippur should not receive an aliya while wearing them. The story is not as bad as it may seem at first glance; it shows the rabbi not being afraid to speak truth to power. It also shows Goldschmid to be a class act, both in not getting upset and in also not objecting at the moment (unless of course that part of the story was erased from the official memory). 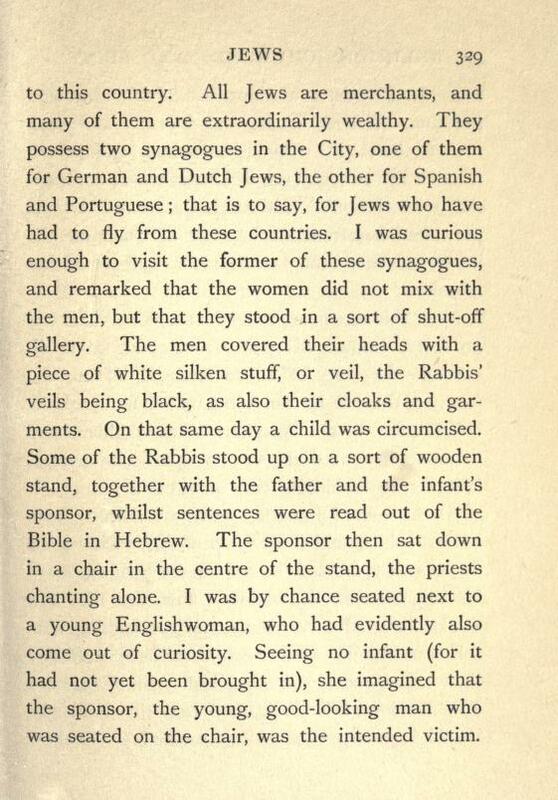 Duschinsky couples this anecdote with another oral tradition, this one concerning a time when Rabbi Solomon was on the way to synagogue on shabbat wearing his customary white robes (see below). Some bad boys began harassing him, and a Jew who happened to be a boxer dispersed them. Rabbi Solomon grabbed the boxer's arm and escorted him to the synagogue. Later someone told him that it was not right to openly associate with someone who openly does not observe halacha, and he replied "The path of repentance is open to all." Eventually, as such stories generally go, the boxer eventually returned to full observance. Thus we see that Rabbi Solomon had a tolerant disposition. Indeed, he made an enemy over a petty financial matter concerning a portrait of himself of a very interesting person who wrote an entire book blasting him. One of the chief criticisms of that man, Solomon Bennett, was that Rabbi Solomon gave a haskama to a book that was basically heretical. 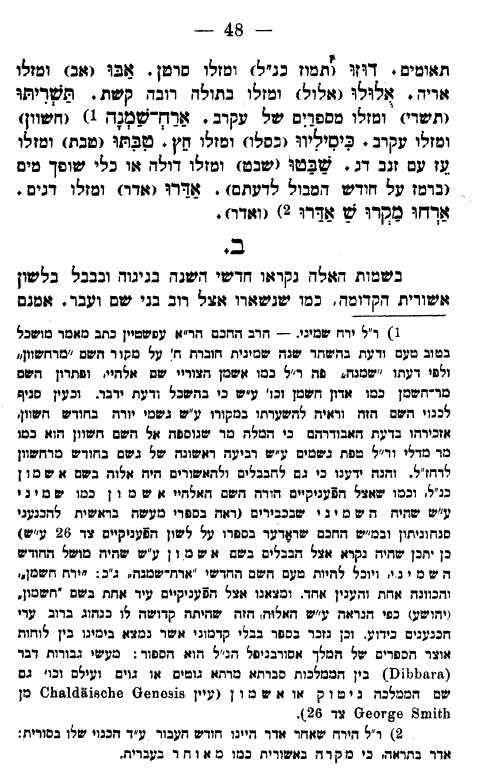 The book in question was an English translation of the famous maskil Shalom Hacohen's שרשי אמונה, which he and the Sephardic Haham Raphael Meldola (ordained by the Chida) felt was badly needed for the education of the youth who simply had no textbooks, and there were various pressures to use Christian educational tracts. Now, Bennett was not himself particularly orthodox or observant by any means, but that was his criticism of Hirschell. The author expresses the urgency of such a book for youths who leave school at a very young age without acquiring the proper understanding of their religion. The response from Bennett was yet another book. This time he complains that the rabbi was tolerant of the chillul shabbos and all manner of sinning on the part of his congregants. For their part, those Jews are highly prejudicial against anyone who "be not orthodox in the extreme," yet they're all a bunch of mechalelei shabbos be-farhesya. Now, Rabbi Solomon was a fabulous seforim and manuscript collector. So as for the rabbi, all he does is buy books so he can show off his library and impress the am haratzim. And the pamphlet written against him? That was by someone hired to "ruminate the library of the Medrash" of the Portuguese Synagogue and come up with a response. Isn't that interesting? Speaking of fur hats, Duschinsky published many letters by R. David Tevele Schiff, Rabbi Solomon's predecessor. In one of from 1782 them he asks his brother to send him a half dozen plain white hats (ניט גישטרייפט ניט אייניגה קולעהר רק פשוט וויס) but not sable (וגם קיין צאביל קאפין), which D. interprets as a joke. Incidentally, Duschinsky's articles contain some genealogical data which show just how, well, tight the European rabbinic elite was. One of Solomon Hirschel's daughters was married to R. Shlomo Eger's son, making her a granddaughter in marriage of R. Akiva Eger. R. Akiva Eger's daughter was married to the Chasam Sofer. The Chasam Sofer's rebbe, R. Nosson Adler, was the great-uncle of R. Nathan Marcus Adler, Solomon Hirschel's successor. R. Nosson Adler's rebbe, R. David Tevele Schiff was Solomon Hirschel's predecessor, and he was also Nathan Marcus Adler's great-uncle. And of course Solomon Hirschel's great-uncle was R. Yaakov Emden, making him and the Chacham Tzvi, his father, and all their relations relatives as well. One of Rabbi Solomon's sons, David Tevele Berliner, settled in Jerusalem where he became a hot shot with the Kehillas Perushim so one imagines that the marriage ties ultimately extended to the rabbinic elite in the Holy Land as well. In short, it was a small rabbinic world. Some additional info re the Shafran/ Pelta interview below. With regards to the Pelta/ Shafran interview below, I thought it might be a good idea to post some of the relevant background material, but first, here is a link to Rabbi Natan Slifkin's response to those comments concerning him. I personally found that interview extremely interesting, not least of which because it discussed the background and point of view Rabbi Shafran regarding the "Mendelssohn Enigma" episode. What happened was, his article by that title appeared in the Jewish Observer (December 1986). The thesis was basically that there is an Orthodox consensus that Moses Mendelssohn was a pretty bad guy. The question is, why? In reality he was a pretty good Jew. Although for generations people have pointed out that his children and students converted to Christianity, the same thing happened to many wonderful Jews in those turbulent times and if this is the reason that he's bad, then so are those Jews, and we don't say they were bad. So, proposed Rabbi Shafran, a close examination of his relationship with leading rabbis of his time provides the key. It turns out that Mendelssohn wasn't really a big believer in rabbinic authority, and that is where he erred. The next issue featured an editorial statement to the effect that publishing the article was an error, and an apology was owed to the readers. It further expressed pain that the article "was interpreted as a watering down of the traditional opposition to Mendelssohn." To atone for this mistake (my words) it also included two-thirds of a page by Rabbi Yaakov Perlow, the Novominsker Rebbe, who is today the "Rosh" of the Agudah. His piece decried the idea that it is difficult to find the problem with Mendelssohn and that it required special analysis. He writes that his flaw was obvious, it is the "synthesis" of cultures which was "worse than a departure from Jewish tradition." In contrast, stands Rabbi Samson Raphael Hirsch, who is also associated with modernizing Judaism (my words, but facts is facts) "yet, he was privileged to rescue entire generations from religious oblivion." So "unquestionably" the distinction between these two men is that Hirsch "specifically rejected" the synthesis type that Mendelssohn personified. Pelta's point in the interview was that here you have the Novominsker decrying a "synthesis" approach, yet other interpreters of Hirsch, like R. J.J. Weinberg, described his approach as a synthesis. I found Rabbi Shafran's personal point of view to be fascinating, especially his indication that he wrote each of the members of the Moetzes at the time and received letters from them explaining what it was that was problematic in their view. Boy, would I love to see those letters! Also interesting is his revelation that this [= his article was wrong] was not the united view of the Moetzes. Rabbi Shafran also made reference to Rabbi Shimon Schwab's response called "To Distinguish Between Light and Darkness." Rabbi Schwab acknowledged that there were "some Gedolim who did not know Mendelssohn too well" and therefore wrote pleasantly, or at least not overly negative about him. But "this man Mendelssohn, has been treated with kid gloves too long and maybe the time has come to take off the gloves and put him in his place once and for all." An interview with Rabbi Avi Shafran about Moses Mendelssohn, Torah im Derech Eretz, Da'as Torah, Science and Torah and the Slifkin affair. Here's a guest post consisting of a very interesting interview with Rabbi Avi Shafran conducted by Baruch Pelta. Below is the interview transcript. I will post another post shortly which will give some of the background info regarding the Mendelssohn article published in the Jewish Observer nearly 25 years ago, which may or may not be known to readers (update: see this post for some of that background, as well as links to the relevant articles). This interview was conducted in Rabbi Shafran’s office at Agudath Israel of America’s Rabbi Moshe Sherer Headquarters on August 28, 2009. Rabbi Avi Shafran is the director of public affairs for Agudath Israel of America. At the time of this interview, Baruch Pelta was an undergraduate student in Judaic Studies at Touro College. He is currently a graduate student in the same subject at Brandeis University. He blogs at Baruch's Thoughts. Baruch Pelta: The Mendelssohn article is what I'd like to focus on if I may. BP: So what I was wondering is - firstly, why did you write that article? In other words, what inspired you to write that article? AS: Well, actually I was asked to - by the Jewish Observer. I'd written an article a bit earlier on - a few months earlier - about Abraham Geiger, who was a Reform leader in the 19th century. And obviously that article was - well I guess if one wanted to characterize it uncharitably they'd say it was triumphalist, in the sense that it contrasted his words with things Rav Hirsch said about the same time. The two knew each other, actually, and Abraham Geiger spoke of his trust in the German Reich, and his hope for the future. Rav Hirsch was very reserved and reluctant to put trust in a government, as was borne out to be a wise and certainly a far-seeing approach. Geiger was very different, and, of course, Hirsch represented what ended up persevering and growing. Geiger, you know, sort of made fun of [traditional Judaism] and said things that were disparaging of frum Jews. So I pointed that out - I think the article was called "Abraham Geiger, Where are You?" or something like that. It was addressed to him and said, you know, “Look at the world in front of you and see this thriving Jewish world, one you never imagined would be here today. And as far as your beloved Germany, you know, you don't want to know what happened with that. That kind of an article. So Rabbi Wolpin said, "Write it, and we'll see what happens with it." So I wrote it just as I called it, as I saw it, I did my research. He read the article and, while I didn't put any pressure on him to accept it, he accepted it – and presumably showed it to his editorial board, which accepted it. Its theme was that there was a subtle problem with him [Mendelssohn] involving his attitude toward the Torah authorities of the time, with whom I guess he may have thought of himself as on the same level as – even though he wasn't a rabbi and certainly not a halachic authority. But he was a brilliant man. So they accepted the article, they published it, and I think what made it stick in the craw of a lot of people was the fact that many [frum] people have a visceral, automatic reaction to the name Mendelssohn - for whatever reason. Rabbi Wolpin told me afterward was that he thinks it was a mistake for them to put in a photograph of him [Mendelssohn]. It was in fact a prominent photograph, I think maybe it was facing Rav Hirsch or something like that - there was some sort of a juxtaposition. And a photograph of him altogether - they don't generally put in photographs of people that are not intended to be put up on a wall in a frum house and, you know, venerated. So that may have made it prominent, stick out more. Whatever the reason was, there obviously was a strong firestorm of upsetness at it. Then others also created a “counter firestorm” of their own [defending the article]. What happened afterwards was that, I think, the Moetzes Gedolei HaTorah met on the issue. I wasn't with the Agudah at the time. I was living in Providence, Rhode Island, a rebbe in the high school there. So I was totally out of the firestorm. I looked at it with befuddled bemusement, from a distance. Once, I called to speak with Rabbi Sherer about an unrelated issue and his secretary picked up. She says, "How are you weathering it? How are you holding out?" and I couldn't even understand what she was talking about. I said, "What?" Here [in NY], obviously, it was roiling much more than in Providence, Rhode Island at the time. But there was a Moetzes Gedolei HaTorah meeting – that is [where] the buck stops when it comes to Agudah publications – and they decided that the Agudah – or the Jewish Observer – had to put in an apology for having published it. I don't think it was quite a retraction. I don't think it even talked about the substance of the article so much. I think it was worded, "We apologize for having published this piece, it was an editorial error." BP: I was told that you actually asked reshus from Rav Gifter before you published that article. Another medieval Jew named "Peter"; Rabbenu Peter revisited. Here's a follow-up to my post about a Tosafist who may or may not have been named Peter (link). Ramchal's rebbe, Rabbi Sabbato Marini of Padua. This is Rabbi Dr. Shabbetai Aharon Chaim Marini (1685-1762), a rebbe (teacher) of Rabbi Moshe Chaim Luzzatto, the Ramchal. He was a physician and מורה צדק of Padua. The title on the book he is holding reads "שירי החליפות," which was the title of his translation of several parts of Ovid's Metamorphoses. In case, by the way, anyone thinks that he is marginal and his relationship with Ramchal can be dismissed, this particular translation was actually begun by his more famous friend, Rabbi Isaiah Bassan, who is associated much more strongly and firmly as Ramchal's teacher. 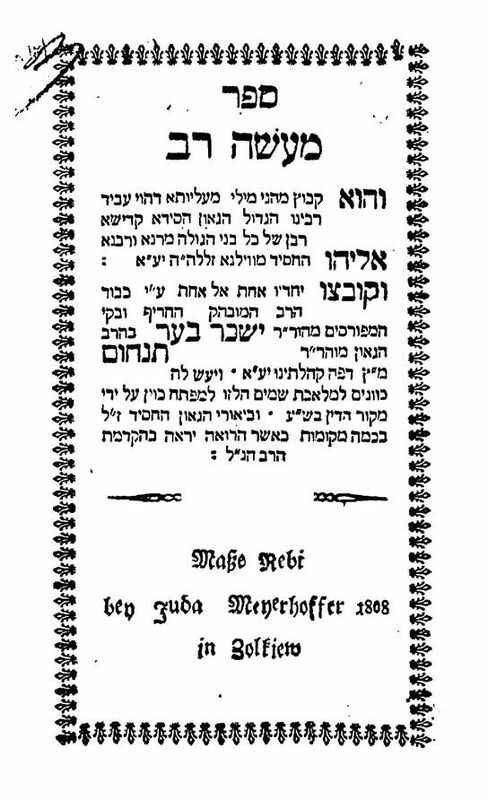 In terms of his physicianship, Meir Benayahu wrote1 that at the time Padua was a unique Jewish community in that "its poets were also its rabbis and its physicians." Although it forever remains unfortunate that there is no portrait of Ramchal, it is still worthwhile to see one of the גאוני וחסדי פאדובה from the time and environment in which he was raised. 1רבי אברהם הכהן מזאנטי ולהקת הרופאים-המשוררים בפדובה in Hasifrut 26 (1978). High Dutch-speaking Jews, and what light might written Yiddish shed on the provenance of the Samaritan Pentateuch? Here are two unrelated, but interesting literary excerpts. The first is from a letter by Joseph Priestley (1733-1804), who was a controversial 18th century British Unitarian theologian who discovered oxygen and soda pop, among many other notable things in a very notable life. Priestley, by the way, moved to the United States after his home was attacked and burned to the ground by a mob on the first anniversary of the Storming of the Bastille (see the Priestley Riots, in which supporters of the American and French Revolutions were attacked). As you can see, he writes that his letters to the Jews don't seem to be producing converts. However, claims he, a "learned Jew of Konigsberg" is translating his letters into Hebrew. Evidently he planned to print them in England, but nothing ever materialized. However, most interesting is that the unnamed learned Jew sent him three volumes of "a periodical work, designed to promote literature among the Jews. It is in Hebrew, with a small part of it in High Dutch." 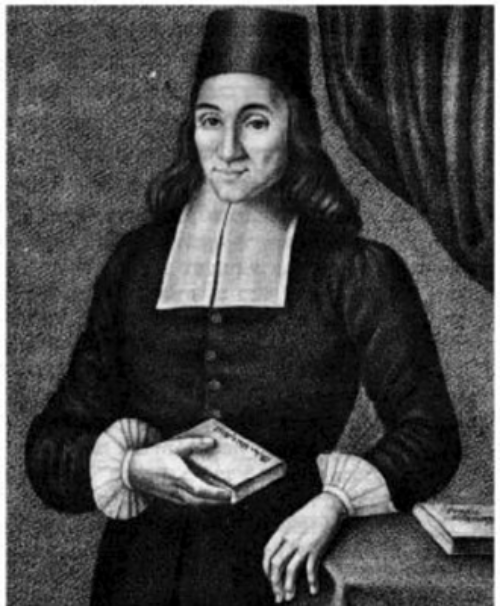 Priestley is talking about none other than Ha-Meassef, the first periodical of the German Haskalah published in Koenigsberg. Apparently it was of no interest to Priestley, so he says, though I have a hunch he couldn't understand it. "High Dutch," by the way, is a literal English translation (with modified English pronunciation) of hochdeutsch. Since he differentiates from "German" I think he means Yiddish, or more accurately the highly Germanized Judeo-Deutsch spoken by Jews of Germany. In fact, in English literature of the period the Yiddish spoken by Jews is often called "High Dutch," which leads me to the next interesting excerpt. The following is an excerpt from a 1682 English translation of a critical work on the Bible by Richard Simon. The background concerns the Samaritan Pentateuch. In 1616 the Italian traveler Pietro della Valle brought a copy of the Samaritan Pentateuch which he had acquired in Damascus back to Europe. While it had long been known that the Septuagint must have been translated from a different Hebrew text from the one which was extant, the present existence of a different Hebrew text had never even been suspected (I think?) and it caused a sensation. 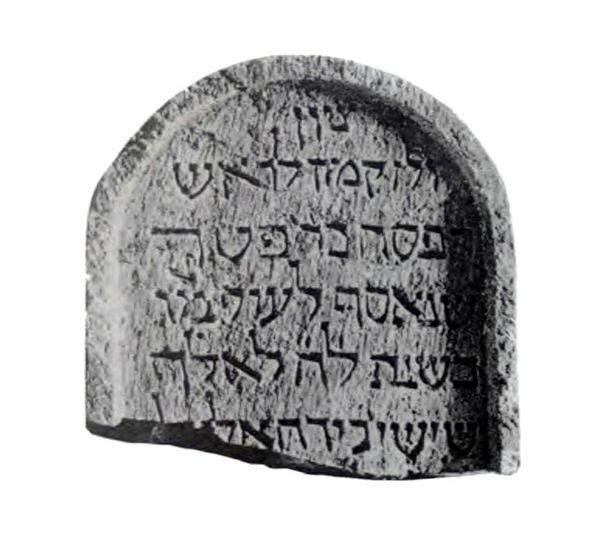 Not only was the text variant with the seemingly uniform Hebrew textus receptus but it was even written in the archaic paleo-Hebrew alphabet which, was felt, had been used by the Jews prior to the time of Ezra. Thus, suspected (and hoped) many scholars there were good grounds for considering this newly discovered text to be even older than the masoretic text. This was especially felicitous, as Samaritan Hebrew has no vowels which meant that there is indeed an authoritative Pentateuch without pesky points telling you how to read it. Furthermore, in many cases the Samaritan reading agreed with the Septuagint or at least seemed to differ from Jewish exegetical positions implied by the masoretic Hebrew text. Since the net result was the undermining of the Hebrew textus receptus, naturally proponents of that text sought to discredit the Samaritan. Richard Simon, a French scholar who is credited by some with being one of the earliest to cast doubt on the Mosaic authorship of the Torah, was yet of the opinion that the Samaritan text was inferior to the masoretic. Here he is arguing that the mere fact that the Samaritan text is in ancient Hebrew alphabet is no proof that they preserved the text most accurately, for these same Samaritans write their native Arabic with the very same ancient alphabet, as do several other peoples write their vernacular language in an alphabet which is not their own. Thus, this does not prove that they kept an ancient, perfect copy of Moses's Torah in the correct original script. Rather, it is equally plausible that they kept a corrupt copy, the characters they use proving nothing. Simon notes as well that the Jews of his own time "often write the high Dutch in Hebrew characters." 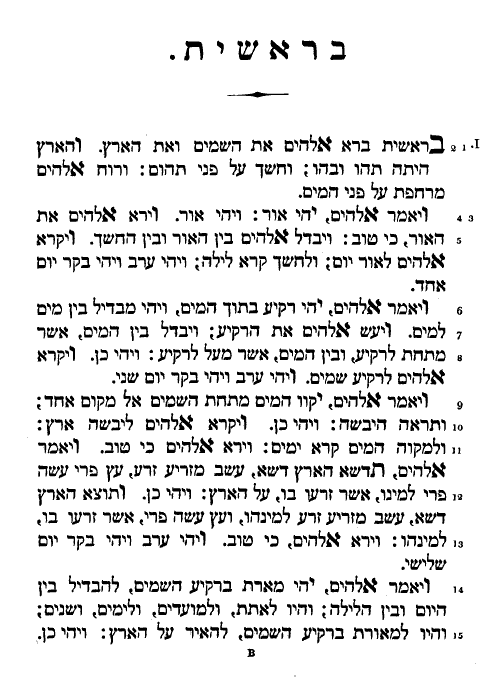 Here's an example of "high Dutch in Hebrew characters" from roughly the same period. Did Moses part the Sea of Weeds? A look at a bowdlerized 19th century Pentateuch. 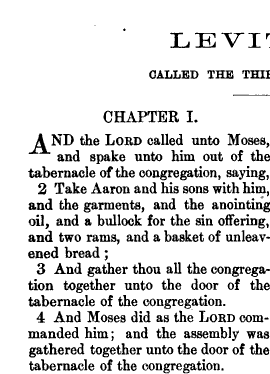 In 1884 two brothers named Moses - Adolph and Isaac - published their translation of the Pentateuch in Milwaukee. The edition was evidently intended for children, as the title page called it a "school and family edition" (link). It doesn't look like they mentioned that it was somewhat abridged, but naturally this did not escape attention. A review in the Jewish Chronicle called it "bowdlerized" and made fun of its Americanisms. and makes fun of Americanisms, at one point suggesting that something in the translation probably isn't even Americanism (how lowbrow can one get?) - but isn't even English. It also singled out the fact that the Moses Pentateuch speaks of the Sea of Weeds. At first I thought this was hilarious. A typo? Bad pronunciation for Sea of Reeds? Hilarious. But then I did a little digging and learned something new. In the 19th century, recognizing finally that Hebrew Yam Suf does not mean "the Red Sea" (for that we have to thank the Septuagint, but see here where I suggested that the Septuagint was not trying to identify the sea). Today we tend to say "Reed Sea" or "Sea of Reeds" - the former conforms more nicely to the traditional "Red Sea," in my opinion. Yet in the 19th century the translation for Suf was often Weed or Weedy. Thus, many wrote of the Sea of Weeds of the Weedy Sea. Frankly, I think that's hilarious. Incidentally, the Artscroll translates "Sea of Reeds," Mendelssohn translated בינזעןזעע, and Luther translated "Schilfmeer," which all mean the same thing. Hebrew made more European; an innovative punctuation scheme from 1841. The bottom line - a lot of people have trouble learning to read languages in an unfamiliar alphabet. the optimal time for such learning is childhood. So it is that many Christians and others, desiring to learn to read Hebrew, consistently complained about the difficulty occasioned by the nekkudot, or points. This occasioned periodic suggestions that the points aren't really necessary, or at least tapped into the existing theological and historical controversies about them. 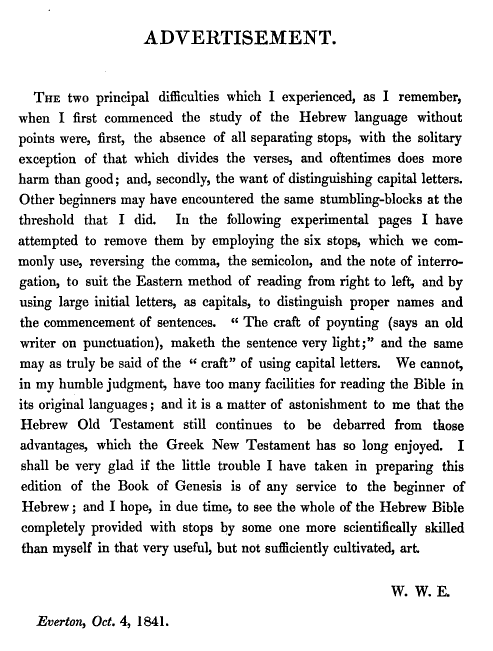 In 1841 a British minister named William Withers Ewbank identified a further problem and came up with an original solution - his edition of Genesis, called "בראשית · The Book of Genesis, in the original Hebrew without points, but with Stops and Large Initial Letters (edited as an experiment)." That is to say, he felt that the lack of normal (=European) punctuation, as well as the lack of capital letters to indicate proper nouns, made Hebrew more difficult. So his version includes both features. Not only that, he took care to do something which - to my dismay - modern Hebrew never chose to do to this very day: his commas point to the right! In a way, it's sad; a Rosh Chodesh post on the name of the month Marcheshvan. In 2000 Ari Zivotofsky wrote an article in Jewish Action on the proper etymology of Marcheshvan ("What's the Truth about... "Mar Cheshvan?"). I once posted about it here. "Could you give me any references or information concerning the word מרחשון? I think it can be identified with the Assyrian Arax samna which you will recognize as meaning "the eight month." My guess is that the youthful Adler did not realize that as a Semitics student in all likelihood he already knew more about it than his mentor. If this was fairly cutting edge scholarship in 1883 - it was very old news by 2000! Zivotofsky is hardly to be faulted for pointing out 130-year old news to his audience, which certainly included me, which mostly had never heard or even imagined it. In fact, he is to be congratulated for writing that article. On second thought, although Adler probably already knew more about Semitics than his mentor, I suppose Morais may have already had this book - he was very learned and well read in the latest scholarship. One of the most recent books . . . is Rabbi David Feinstein’s The Jewish Calendar: Its Structure and Laws (2004). It begins with a long list of donors and seems to have some association with the rabbi’s yeshiva. It was issued in a special edition before the formal release, perhaps as part of a fund-raising effort. In any case, the book thanks, among others, Rabbi Nosson Sherman for his extensive assistance, but unlike most other Artscroll volumes, Rabbi Scherman seemingly has not provided its Overview. One does find an Overview (pp. 13-24), but it is not signed, so one must assume that Rabbi Feinstein is its author. Yet, when one compares these pages with the rest of the book, one immediately senses a difference. Much of the book explains how the calendar and related liturgical practices function. It begins with the generic Rosh Hodesh and works through the months in sequence from Tishrei through Elul. The volume is packed with details some people may not know, but much of it is fairly elementary. The Overview is a mix of this type of material and the kind of treatment one finds in many of Rabbi Scherman’s Overviews in other volumes. His mark is there, even if his name is not. I cannot tell which of these two gentleman (or perhaps one of the other contributors) produced pages 71-74, which are devoted to the month following Tishrei, listed there as “Cheshvan.” The chapter begins by noting that, “The word mar is commonly added to the word Cheshvan, so that the month is called Mar-cheshvan. In the plain sense, this is because the word mar means water, as in ke-mar mi-deli, like a drop of water from a bucket. Because Cheshvan is the beginning of the rainy season in Eretz Yisrael, it was natural to add the word for water to the name of the month.” Isaiah 40:15 is footnoted, as are Even Ha-Ezer 126:7 and Peri Hadash, a.l. This is followed by various explanations of mar as “bitter” and why water, which is needed in this month, might be considered bitter. The text continues, “Another reason for attaching the prefix mar to Cheshvan is because mar generally means bitter, and this month not only lacks festivals, it also recalls one of the bitterest events in Jewish history.” The explanation refers to the rebellion of Jeroboam, set in this month, which included setting up a competing sanctuary and a celebration at the full moon. The first of these explanations is designated by the writer as “the plain sense,” which I take to mean the simple, straightforward explanation, the peshat. I beg to differ; both explanations are incorrect. According to the Palestinian Talmud, Rosh Ha-Shanah 1:2, shemot ha-hodashim `alu be-yadam mi-bavel, “the names of the months ascended with them [the returnees at the time of Ezra and Nehemiah] from Babylonia” (as did several other things). This refers to the fact that, in pre-exilic books, the biblical months are usually identified by numbers, while in post-exilic books they appear in the forms familiar from our current calendar: Nisan, Elul, Tishrei, Adar, etc. 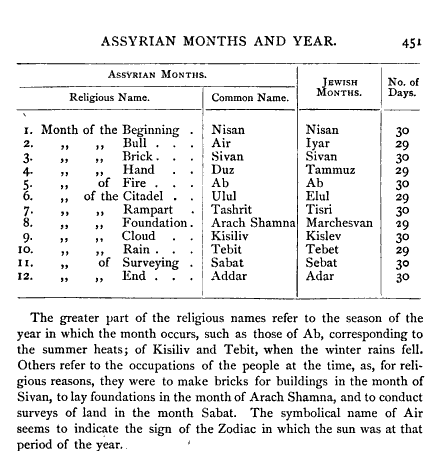 The point of this talmudic statement is that the returning Israelites brought with them the names of the Babylonian months, and indeed, in Akkadian, the language of Babylonia at that time, the months are called Nisanu, Elulu, Teshritu, Adaru, etc. Except for the –u ending, they are all virtually identical to the Jewish months. All of this demonstrates conclusively that mar in the month name is neither the Hebrew word “bitter” nor a word mar meaning “water” (though this is the accepted meaning of the word in the verse cited from Isaiah). Indeed, in this context, mar is not a word at all. Rather it is part of marh-, which means “month”; it is not a prefix but an essential part of the first word of a compound name. It was not added to Cheshvan by some people for a homiletical reason but omitted by some from Marcheshvan, probably for a superstitious reason (to avoid associating the month with bitterness) or perhaps because many of the other month names contain only two syllables. Marheshvan is the correct Hebrew name (actually used on page 118). Over the centuries, the above philological information was lost, and therefore, to some extent, the proper understanding of the passage in the Yerushalmi was lost too. This is far from the first time the above explanation has been put forward; indeed it is a commonplace for anyone who deals with ancient Hebrew, Aramaic, and Akkadian, and with the biblical or talmudic calendars, not to mention talmudic archaeology. But a form of learning that shuns all forms of external information not sanctioned by an approved rabbinic writer has its liabilities, and in this case it has allowed clever guesswork and homiletics to replace the simple truth. Shemot hadoshaim `alu imanu mi-bavel (PT RH 1:2), Month names ascended with us from Babylonia”: Because initially, according to our original usage, they did not have names. And the reason for this is that initially their numbering system was a memorial to the Egyptian exodus. But when we ascended from Babylonia and the Scripture was fulfilled: “No longer will it be said, ‘By the life of God who caused the Israelites to ascend from the land of Egypt’ but rather ‘By the life of God who caused the Israelites to ascend and brought them from a northern land,’” we returned to calling the months as they were called in the land of Babylonia, to recall that we were there and from there God, Blessed Be He, caused us to ascend, because these names – Nisan, Iyyar, etc. – are Persian. This passage is taken from Nahmanides’s commentary to Exodus 12:2. Clearly there is nothing heterodox, much less heretical, about my interpretation; indeed, it is based on the Yerushalmi and was suggested in all but its linguistic details by Nahmanides in the thirteenth century. Did the author of these pages perhaps not know this text about the months, or did he prefer the comments found in a later commentary on the Shulhah Arukh to that in Nahmanides’s Torah commentary? If so, why? Why did the editor(s) not offer the alternative? We will return to this issue later. . . Nothing about this thesis requires its avoidance, and Rabbi Scherman obviously was aware of it when he wrote the Torah commentary in 1993, long before this book on the calendar appeared. Dare I suggest that Rabbi Feinstein and the Rabbi Scherman who contributed to the volume on the calendar (minimally as General Editor, but he is thanked for much more) and the other rabbis involved with its production should have read and taken seriously Rabbi Scherman’s Torah commentary or Rabbi Cohen’s essay? Did Rabbi Scherman, editor, forget what Rabbi Scherman, commentator, had written? There are several ways to explain this inconsistency, but I believe it results from a desire to leave this passage as it was out of respect for his colleague(s) and the belief that the position accepted by Nahmanides and Rabbi Cohen and adopted in his own Torah commentary, as well as Rabbi Feinstein’s, based on the Peri Hadash, are both “Torah” i.e., authoritative rabbinic teachings. Such an assumption gets Rabbi Scherman, editor, off the hook, but only momentarily, because, though this gesture might demonstrate great humility and respect for earlier rabbinic teachings and the contemporary use of them by Rabbi Feinstein, it also highlights a remarkable inability to differentiate between the truth and no longer useful attempts to get at it, perhaps even a lack of desire to pursue it. Though he got it right as author of his own commentary, he got it very wrong as editor. In short, why should we have to wait more than a century to learn old news? Too bad. But it's never too late. Where in the world is Robinson Crusoe? On Artscroll's translation of Rabbi Zalman Sorotzkin's Oznayim Le-torah. Insights In the Torah is a five-volume "Chumash with translation and the complete classic commentary of the master Rav and Maggid" Rabbi Zalman Sorotzkin (1881-1966). That is, it is the English translation of his אזנים לתורה. Leviticus 13:46 in Parashas Tazria states that the mezorah (leper) "shall dwell in isolation; he shall be outside the camp." Chazal taught that his affliction is caused by his speaking leshon hara, gossiping about others (Arachin 15b). Rabbi Sorotzkin beautifully comments on the point that this individual receives tzara'as because of his antisocial behavior. He spreads rumors about people because he hates individuals. But this is only initially. His pattern of behavior eventually causes him to hate people generally and to only wish ill for them. So it is only right that he suffers a plague himself. However, through this plague is the very cure with which he can learn to correct his ways. He must face total social isolation by being alone outside the camp. This will cause him to crave human company. Parenthetically, adds Rabbi Sorotzkin, the pain of solitude is brought out most vividly in the book Robinson Crusoe. By being isolated from the community, the mezorah will learn to appreciate the very people he said nasty things about and wish to rejoin them. This is kind of odd. Why would a little paragraph about Robinson Crusoe be removed? It doesn't seem natural or proper that an authentic Lithuanian rosh yeshiva of the previous generation, the pride of the great Telzer yeshiva, would have even read Robinson Crusoe much less included a reference to it in his Torah commentary. Even if it was not written by himself, but based on oral talks, it doesn't seem right that he should have referenced Robinson Crusoe in an oral talk on the Torah. It appears strangely close to the much-maligned Torah U-Madda approach. This is farfetched, but it is interesting that one of Orthodoxy's favorite arch-heretics, the hebraist Eliezer Ben Yehuda, many times cited his having read כור עוני, Yitzhak Romesh's Hebrew translation of Robinson Crusoe, which was secretly shown to Ben Yehuda by his half-maskil rebbe, R. Joseph Blucker (?). See, for example, his autobiographical החלום ושברו. Reading the fine prose of this book helped kindle a love for the Hebrew language within him. Actually, there were other Hebrew and Yiddish translations of Robinson Crusoe (actually translated from a German translation of the original English), including one from 1820 in which Robinson Crusoe is called Reb Alter-Leib, and his man is Friday is called Shabbos. Rabbi Sorotzkin may have read any of them, besides כור עוני, although it is unlikely that he read the Geschichte fun Reb Alter-Leib version, since he knows it is Robinson Crusoe. It should also be noted that in novels were in very ill repute in the 19th century (and the 18th). They were disliked by pious people of all faiths, and also by many non-pious but serious people. Novels were widely regarded as imagination gone amok, liable to arouse impious and impractical thoughts; a waste of time. Furthermore, very often novels were written as if they were real, using various literary devices to give that impression. In the Chasam Sofer's ethical will written to his family in 1839 he commands that והבנות יעסקו בספרי אשכנז בגופם שלנו המיוסדים על אגדת חכמ"זל ולא זולת כלל—the girls [in his family] should only read Yiddish books written in Judeo-German type, based on the aggados of Chazal, and nothing else. By the way, the presence of this passage lends a modicum of plausibility (but not enough) to the possibility that his will really did read ובספרי חמד אל תשלחו יד (don't reach your hands for romantic novels) and not ובספרי רמד אל תשלחו יד (don't reach your hands for Mendelssohn's books)—more on this in a future post. In similar fashion, in Samuel David Luzzatto's autobiography he writes about how he read a French novel called Alexis as a child. In the novel, Alexis is a boy born into nobility who is somehow snatched from his family and ends up living with peasants. One day a gentleman spots him and sees that this peasant boy is holding a copy of Virgil in his hands! Realizing that he is a noble boy, he takes him and restores him to his station. Around this time Shadal had childish cause to be upset at his parents, so having read this book he decided to run away. He did so, skipping school, and taking a philosophy book by Condillac with him. After a few hours of wandering, a kind man decided to question the child wandering around in middle of the day and brought him home to his parents (who didn't realize what happened, since it was lunchtime and he was due home then anyway). He writes that this was the end of his reading novels, and lucky him, because who knows what would have become of him otherwise? But I digress. Every Hebrew edition of Oznayim Le-Torah has the paragraph about how Robinson Crusoe portrays the agony of solitude. But whatever the reason, the paragraph is missing in the Artscroll translation. A practical joke at a circumcision in London circa 1725. César de Saussure was born in 1705 into a family of exiled French Huguenots in Switzerland. 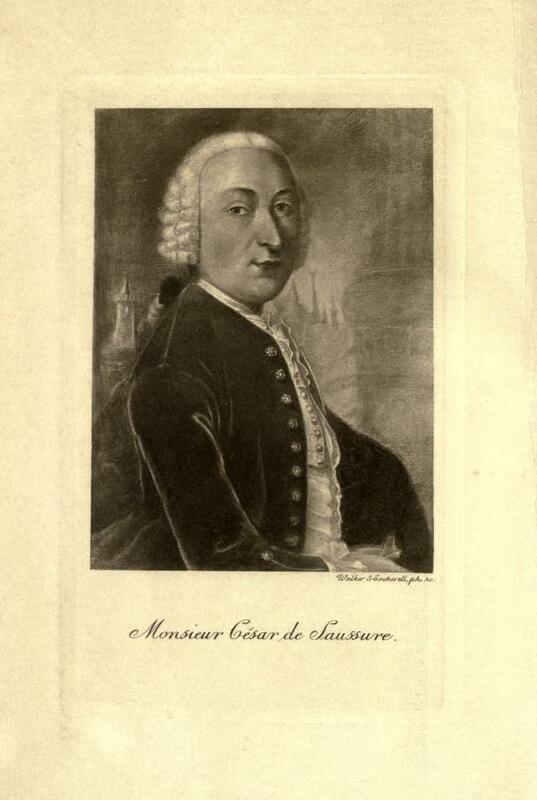 In 1725 he journeyed to England and other parts of Europe. During his years of traveling he wrote many letters to his family. His great-great-grandson's wife translated them and published them in English in 1902 as A foreign view of England in the reigns of George I. & George II. :The letters of Monsieur César de Saussure to his family. 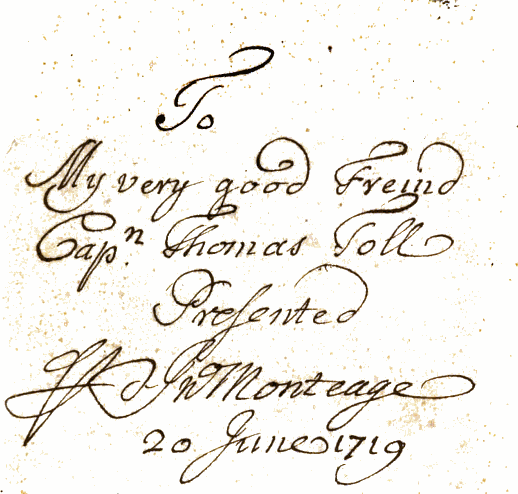 These letters were of such interest that they became popular in his lifetime, although they remained unpublished. In her introduction she claims that his letters were loaned to more than 200 people, including Voltaire, and that because of the interest in them he had them bound in a single volume. 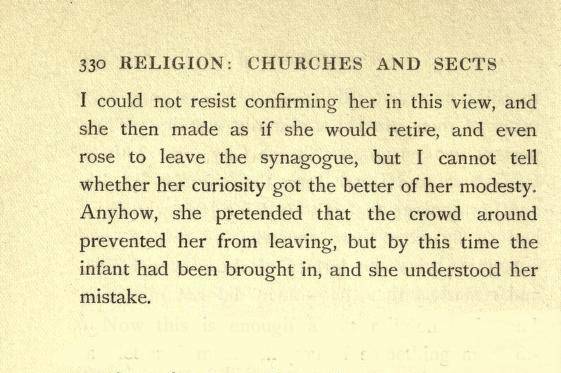 A British Jew (and Bible) joke from 1823. This joke was printed in several places, but the one I got it from is from a periodical called The Spirit of the Public Journals.